Gift cards are the ultimate go-to gifts when you aren’t quite sure what to buy friends and loved ones for holidays and special occasions. Gift cards can even prevent you from buying the “wrong” gift, and offers the recipient complete freedom to buy exactly what they want. Though gift cards are traditionally used for gift-giving, they also can help you save money, too! Here are 5 unique ways gift cards can help stretch your budget and lead to great savings. 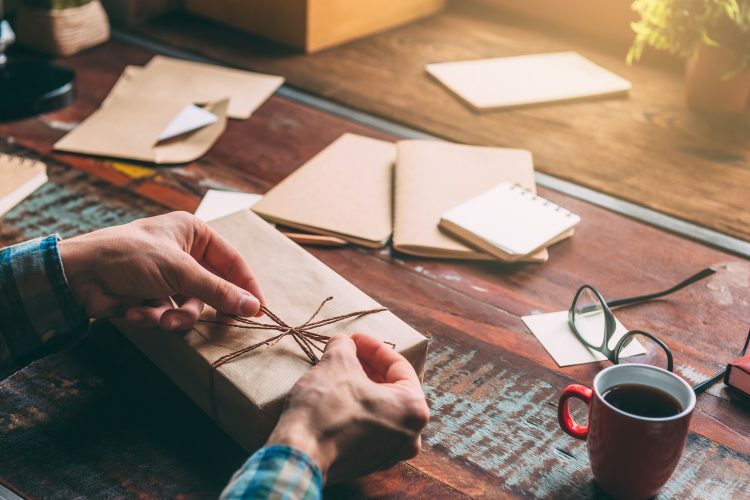 When your friends and family members ask for specific birthday gifts, it can be easy to overspend even when you’re trying to stick to a budget. The items requested could be too costly, or too difficult to find for the amount you’re willing to pay. Purchasing gift cards, however, puts you in more control over how much you spend. Find out what your friends want, then purchase a gift card for that particular retail store. In most cases, your friends will be grateful for letting them get what they really want. Shopaholics and individuals prone to impulse buying sometimes purchase prepaid credit cards to help manage their shopping habits. Gift cards work exactly the same way. For example, if you can’t help but load up your shopping cart with the latest fashion accessories, books, electronics, and housewares from Target, consider purchasing a gift card. When you’re ready to go shopping, leave your debit and credit cards at home, then congratulate yourself for sticking to your budget. Some retailers and online services offer discounted gift cards, which are gift cards with a set dollar amount that cost less to buy. For example, you buy a $25 gift card for only $20, and save $5. Do an online search for “discount gift cards” and visit one or more websites that allow you to purchase these money-saving gems. In most cases, these sites exist so consumers can make a profit on gift cards for which they have no use. Around major gift-giving holidays such as Christmas, Mother’s Day and Father’s Day, many retailers offer BOGO gift cards, also known as “Buy One, Get One.” For instance, you can purchase a $100 gift card, and get another $25 gift card for free. Keep your eyes peeled for these offers, and take advantage of BOGO specials from retailers you frequent often, such as the grocery store. Then, use your gift cards to make everyday purchases, and benefit from massive savings. People who tuck cash into greeting cards for birthdays, graduations, and holidays usually tend to give more than they can afford for fear of looking too cheap or stingy. If this sounds like you, nip this problem in the bud by replacing cash with one or more gift cards to your loved one’s favorite store. Alternately, if you’re on a tight budget, consider combining low-value gift cards with homemade gifts so it seems as if you’re giving more. For example, fill a mason jar with the recipient’s favorite candy, and include a $5 gift card to their favorite retailer. Want to start saving money with gift cards? Sign up for iRazoo and earn free gift cards in exchange for watching videos, completing surveys and simple online tasks! The more points you earn, the more prizes you receive in the form of gift cards. Get started today!